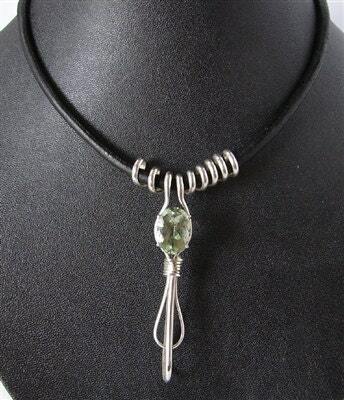 Green Amethyst Modern Twist Necklace, silver and leather. 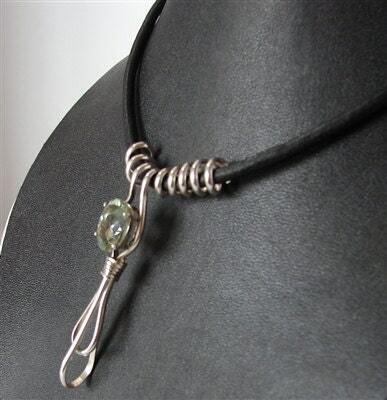 10 by 14mm oval cut green Amethyst mounted in a modern twisted Sterling Silver design. This piece is hand made and hung on a 16 inch black leather cord.